I'll admit, I had a hard time getting on the OCC Lip tar bandwagon. The name alone made me think negatively and i had an impression it would be sticky on the lips. I was wrong. 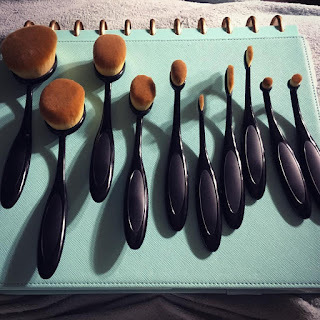 It goes on smooth and has a satin finish, you can sheer it to make it appear more matte, or leave a little more of a layer and it's a little more glossy. I'd say the color Strumpet is a True Red, though when I look at it on my skin, it does look a little shifted to the blue, but not much. For longevity on lips. It's not kiss proof but it is very long wearing. I'd say about 6 hours, depending on what you've been eating. I also had a bit of struggle getting this off with make remover, so I suggest using an oil based remover to get it off without overly irritating your delicate lips. I was also put off a bit by the cost, however, this is incredibly concentrated! The tiniest bit goes on for miles. That dot is no larger than the head of a straight pin. 1 inch wide by 1 1/2 inches long. And the strumpet color is just stunning. It's a satin finish with high opacity. Color me impressed! Get your own, here. I got an absolutely amazing box this month! I love it when @riflepaperco team up. I've never been a fan of floral prints until this collaboration, plus there is a 20% discount for the company in box. (Malin + Goetz) included a grapefruit face cleanser. 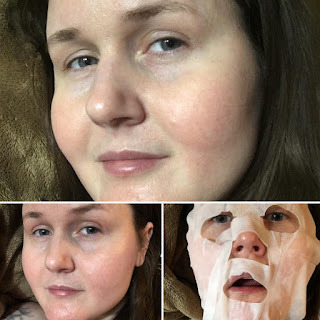 Citrus makes me a bit nervous with my skin being so cranky and it making it easier to burn, but it's not like I am outside too terribly often and i use SPF in EVERYTHING, AND they included a sample of their vitamin E and hyaluronic acid to try along with it. I loves me some hyaluronic acid. It makes your skin feel all soft and fine lines just smooth away! Marcelle cosmetics 3 in 1 Micellar water is an recognized by the Canadian Dermatology Association. It's also paraben, perfume, oil and alcohol free, and claims to be non comedogenic and hypo-allergenic. So I'll trying that very soon. 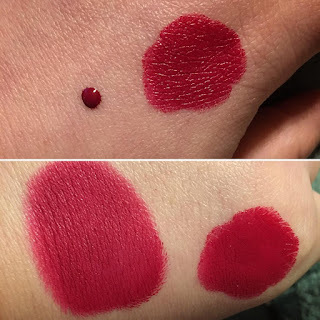 Obsessive Compulsive Cosmetics included a test tube in Strumpet, which is a lovely deep berry color. that I will be posting soon! 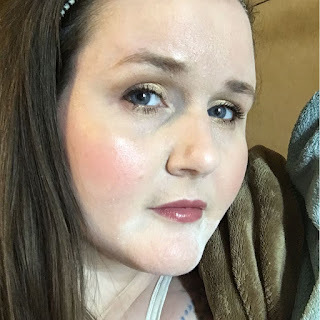 E.L.F Total Face Palette I used the Rose blush and the Highlighter and Contour color and I used a bit of Unleashed in the RainForest after Dark to try to tone down the highlighter just a bit. Julep Fluid Eye Glider in jet black. And I used E.L.F. High Definition Powder in Sheer to set with. Below, on the left, before, after cleansing with Micellar Water, on the right... I am using it. 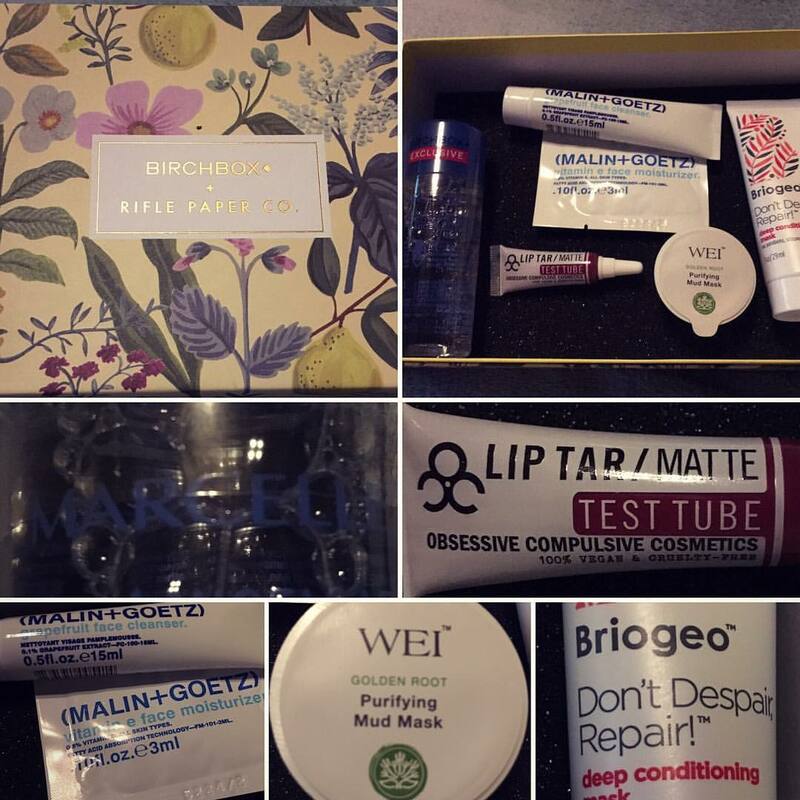 the mask application. wink emoticon I love these sheet masks ! And upon further inspection, this whole line is SPECIFICALLY for rosacea! And you can see the difference in literally 20 minutes. LOVE this mask. It's going on the buy list. It's a must have for me. 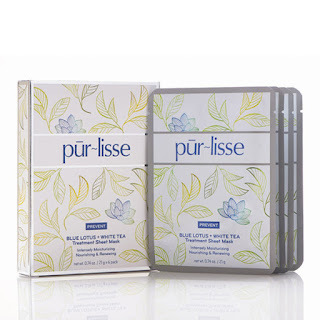 Get your Blue Lotus + White Tea mask here! :) and I will be using the other mask in a week Blue Lotus and Seaweed Mask, here! 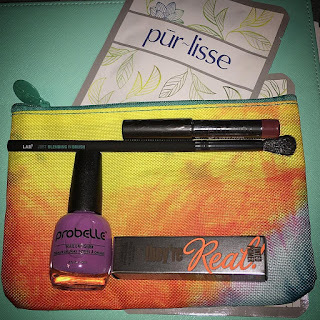 I absolutely love my ipsy bag for this month! First, the bag. It's so beautiful. It's made of a durable cotton canvas type material, and the color reminds me of a sunset dyed silk scarf I had years ago. It's totally going into my bag, without a doubt. First, an amazing from pur~lisse. 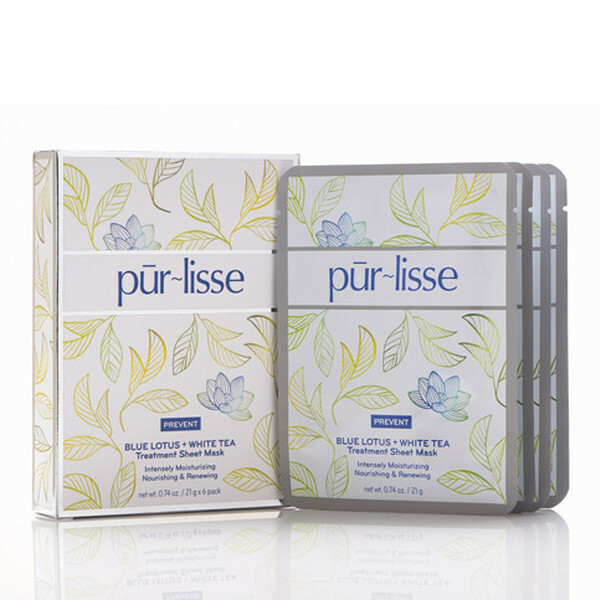 It's part of their 'prevent' Blue Lotus + White Tea line. I have an eye cream in the blue lotus formula as well. I have only had it for an hour and I am already planning a facial night. And 2 are included! Second, Nudestix cheek and lip pencil in Mystic. It's absolutely stunning. It's a rum raisin color in my opinion and that was my go to lipcolor in the late 90s. I am glad to see it coming back. Third is a L.A.B.2 Live and Breath beauty (if I am not mistaken) offers a synthetic blending brush, and it's soft and domed. It will work well for blending out cream eyeshadows. Fourth is the Benefit "They're Real" Tinted lash Primer. My other primers are clear or white, so this one will be fun to test. I wanted to get the Roller Lash but I haven't gotten around to it. And last is a Probelle purple nail lacquer in "In or Out" which is totally a cat thing, I know it. Get your own ipsy bag here! It's an absolutely gorgeous highlighter BUT it's a total multitasker! 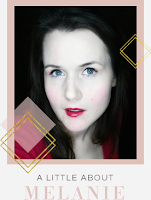 I use it on my cheekbones, my cupids bow, and my nose and chin. It really shines (pun intended) as adding a light reflection and brightening your face up. It seems to work with many skin tones, from the palest to the deepest. I also use it as an eye brightener and a shimmer base for fun eyeshadow looks. It is also highlighted in theBalm's best of series "In theBalm of Your Hand Vol. 1"
There are 2 other colors in the series, and this one works best on pale-light skin. Get yours here! Oh and there is currently a 15% off coupon for newbies to the Luxury section of Amazon! For a limited time, new customers can receive 15% off their first purchase in Luxury Beauty. Enter the promo code LUXBEAUTY at checkout to see savings.